Small Business Websites, Nashville, TN. Small businesses are often underrepresented on the web. Many small business owners refrain from web design services, reasoning that it is too costly. However, the new customers and clients they are ultimately losing is far more costly and even damaging to company growth and the bottom-line. As a business built from from the ground up, we know the time consuming costs and frustration associated with doing it yourself. 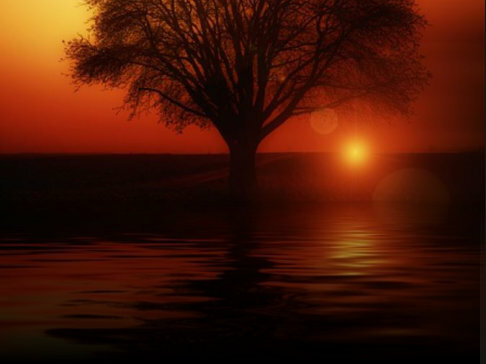 In the end, the business will be better served by directing energy toward what they know best--selling their products and serving their clients. Earth Billboard offers affordable website design, Internet marketing, SEO, print media, branding and social media management services for small businesses. We design extremely affordable, beautiful, functional, mobile, and unique websites. Further, if you need to to be found on keyword searches fast, we can help by providing several levels of SEO Enhancement Packages. Furthermore, we can propel your brand identity into the future with business cards, brochures, clothing, Radio and Television commercials, broadcasting your logo, slogan and identity to the world. Our web designers, graphic designers, search specialists, digital directors and voice-over artists, copywriters, PR and marketers can create a website for you, or develop a holistic market strategy that will illuminate your small business and launch it into the future. 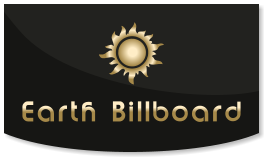 Earth Billboard is expert in small business websites, serving Nashville, Clarksville, Dickson, Murfreesboro, Columbia, Spring Hill, Franklin, Cool Springs, Green Hills, Lewisburg, Chapel Hill, Mt Pleasant, Memphis, Hendersonville, Mount Juliet, Springfield, Brentwood, Nolensville, Smyrna, La Vergne, Cumberland City, Waverly, Erin, Ashland City, White Bluff, TN, Centerville, Tennessee and Dallas, Plano, Frisco, Texas. Also serving Fort Worth, Arlington, Garland, Richardson, Carrollton, Irving, Farmers branch, Denton, Allen, Texas, Chicago, IL, Atlanta, GA, Philadelphia, PA, and North America. Mobile responsive websites. Using our link, our specials include web hosting for 99 cents a month on our servers. Earth Billboard Clarksville: 2210 Madison St. Suite#2 Clarksville, TN. 37043 (931) 401-7405; Earth Billboard Nashville: 3200 West End Ave, Suite 500, Nashville, TN, 37203 (615) 945-3045; Earth Billboard Dallas: 4514 Cole Ave. Dallas, TX. 75205 (469) 657-3917; Plano, Frisco, TX, Memphis, TN, Columbia, Spring Hill. Check out our NEW small business websites, utilizing LIVE, interactive web design for small business, start-ups, writers, singers, bands and more. Small businesses are often underrepresented on the web. Many small business owners refrain from web design services, reasoning that it is too costly. However, the new customers and clients they are ultimately losing is far more costly and even damaging to company growth and the bottom-line. As a business built from from the ground up, we know the time consuming costs and frustration associated with doing it yourself. In the end, the business will be better served by directing energy toward what they know best- -selling their products and serving their clients. Earth Billboard offers affordable website design, Internet marketing, SEO, print media, branding and social media management services for small businesses. We design extremely affordable, beautiful, functional, mobile, and unique websites. Further, if you need to to be found on keyword searches fast, we can help by providing several levels of SEO Enhancement Packages. Our web designers, graphic designers, search specialists, digital directors and voice-over artists, copywriters, PR and marketers can create a website for you, or a holistic market strategy that will illuminate your small business and launch it into the future. Earth Billboard is expert in small business websites, serving Nashville, Clarksville, Columbia, Dickson, Murfreesboro, Spring Hill, Memphis, Hendersonville, Mount Juliet, Springfield, Brentwood, Nolensville, Smyrna, La Vergne, Chattanooga, Cumberland City, Waverly, Erin, Centerville, Tennessee and Dallas, Plano, Frisco Texas. Also serving Fort Worth, Arlington, Garland, Richardson, Carrollton, Irving, Farmers branch, Denton, Allen, Texas, Chicago, IL, Atlanta, GA, Philadelphia, PA, North America. Mobile responsive website design.